Recoil is a musical project created by former Depeche Mode member Alan Wilder. Essentially a solo venture, Recoil began whilst Wilder was still in Depeche Mode as an outlet for his experimental, less pop-oriented compositions. Once he announced his departure from the group in 1995, Recoil was transformed from a small side-project into Wilder's primary musical enterprise. 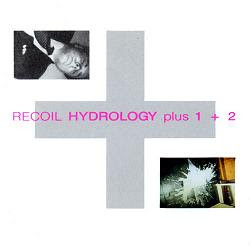 In January 1988, during the middle of Depeche Mode's hugely successful "Tour for the Masses", Mute released the second Recoil album — Hydrology. This followed in a similar vein to the previous Recoil record, consisting of entirely instrumental, synthesized landscapes. Unfortunately, due to Wilder's busy touring schedule, he was unable to effectively promote the record. On 17 February 2010, Alan reunited briefly with former band Depeche Mode live on-stage at the Royal Albert Hall for one song, accompanying Martin Gore for a rendition of the Depeche Mode standard, "Somebody". This was the first time in nearly 16 years that Alan performed with Depeche Mode, and roughly 15 years since he left the band. The band was playing a charity show, benefiting the Teenage Cancer Trust. According to Alan, "Dave contacted me a few weeks back and asked if I'd be willing to join them on-stage. He assured me that everyone in the band was into the idea. I was very happy to accept, especially as it was all in a good cause and we were long overdue some kind of reunion of this sort. It was great to see everyone again and catch up a bit, and it was also the first time I have actually 'seen' Depeche Mode perform!"